Word on the internet streets is that Idris Elba has squashed the hopes of women around the world and knocked up his new bo, a makeup artist. We usually take what The Sun says with a grain of salt....but this time it may hold some water. 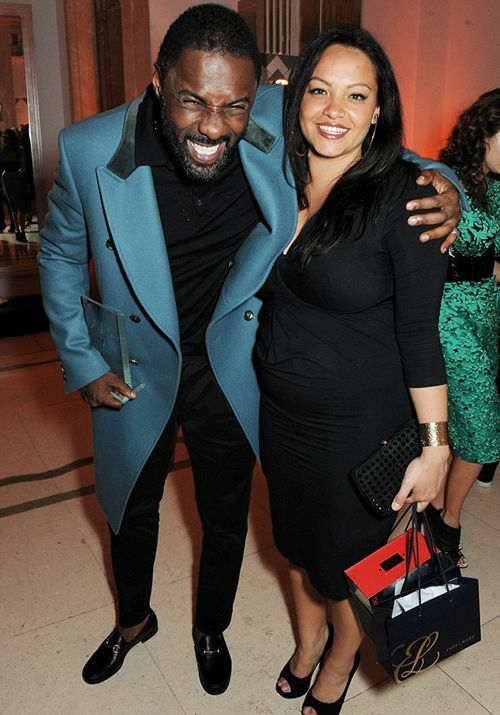 The fineness that is Idris Elba showed up to the Harper's Bazaar Women of the Year awards in London yesterday with a "mystery woman" on his arm. But it turns out, she's not a mystery afterall. 'They've been together for a few months but it's really ramped up recently. They get on brilliantly and she's a real hit with his family and friends. And there's more. This wasn't the first public appearance she's made with the Mandela star. They hit up the Dior at Harrod's launch together back in March. As soon as the rumor of their alleged relationshp and even more alleged baby hit the net, Naiyana up and deleted her Twitter account. Trying to hide something? She also referenced Mr. Elba plenty on her TL. PREVIOUS: PROMO PICS: LeToya Luckett, Denise Vasi, LisaRaye McCoy & More For Season 3 Of "SINGLE LADIES"